Once in a while an e-juice comes along that has a little something special to offer. A good mix of existing flavors is sometimes all it takes. Sometimes, though, it’s how the flavors come to be that makes them stand out. House Brewed, a new line of e-liquids from Goodejuice, is in latter category. 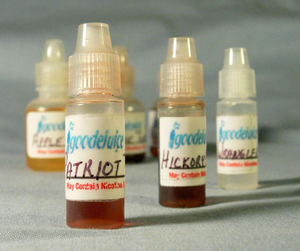 By extracting tobaccos such as Louisiana Perique, Kentucky Cavendish and Virginia Burley and combining them with new organic tobacco flavorings, Goodejuice has created a selection of tobacco flavors that are all rich on flavor, natural tasting and satisfying in throat hit and exhale. The following flavors are available in 6mg to 32mg strengths in a 50PG/50VG mix with a relatively thick consistency. According to the folks at Goodejuice, Patriot Tobacco is a blend of flavors extracted from Louisiana Perique, Virginia Burley, and Kentucky Cavendish, plus a little extra tobaco flavoring to round it out. It has a pleasant and smooth inhale and an exhale that is reminiscent of a tobacco store. There is no single defined flavor or smell, but a pleasant mixture of many. As with the other House Brewed flavors, this one is clean and fresh. The Black Jack Tobacco has a good cigar note to it without the “green” undertones that come with many cigar e-liquid flavors. There is a touch of sweetness to it, but it is not at all overpowering. This flavor seems quite similar to an everyday type of cigar, which is a good thing. Organic Tobacco #1 has a nice full-bodied flavor, but it is somewhat nondescript. While there is no definite flavor that stands out, the result is a clean fresh tobacco flavor with just a touch of sweetness that could easily be vaped all day. This one really reminded me of lingering smell of the tobacco that my brother used to smoke in his pipe – not a distinct aroma, but a pleasant lingering smell. The Apple Cured Tobacco is exactly what it is named to be. The apple stands out on the inhale, but is not overpoweringly sweet. The tobacco undertones are most noticeable on the exhale. This flavor gives the sensation of being a little lighter than the others on the inhale, likely due to the fact that the tobacco flavor on this one is not extracted in house. The overall result is a clean, sweet vape that is muted just enough to avoid being overpowering. Hickory smoked flavor seems to be a hard one to mimic in e-juice. Most hickory flavored juice ends up tasting a lot like Liquid Smoke. Goodejuice has done a good job with their Hickory Cured Tobacco flavor, however. The inhale is full of rich tobacco flavor while the hickory is most noticeable on the exhale which smells remarkably like just a whiff of a wood fire. Wrangler Light is another of the House Brewed line that is created from Goodejuice’s organic flavorings rather than extracted in house. The resulting juice is clean and clear, but not quite distinctive. The slightly sweet flavor is more like a cigarette than a cigar or pipe, with a mild inhale and exhale. The House Brewed line is a welcome addition to the tobacco flavors that are now available. There are a few that will keep me coming back, namely the Patriot, Hickory Cured and Apple Cured Tobaccos. The Wrangler Light, Black Jack and Organic #1 are all excellent as well, but just not my first choices in flavors. All of them are likely to solidify the reputation of Goodejuice as one of the better e-juice vendors to be tried. I recently noticed the House Brewed at Goodejuice site while purchasing some House Blend (not to be confused with House Brewed), one of my favorite premixed e-liquids. Tobacco flavors comprise about 95% of my vaping, so new tobacco flavors always catch my eye. I added some to my order and Goodejuice graciously included samples of the rest of the line. 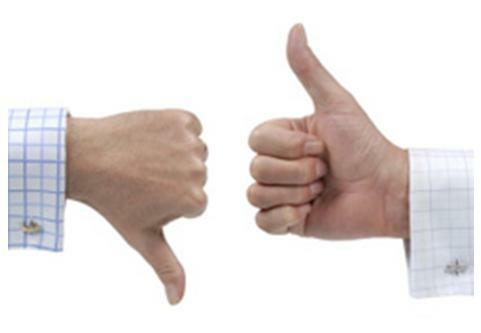 That’s it for the disclaimer, but I do my best not to let freebies discolor the review.